A successful business is an amalgam of several departments working under its flagship in a harmonious way. The most important of all is in the department of finance, which is the backbone of all other departments. The finance department is responsible for providing fiscal value to all other departments to make their management possible. In order to make the operations of a business coincide with it’s strategic plan, effective budgeting is required. When planning a budget, efficient techniques are adopted in order to make it an effective one. Each organization or business establishment differ in nature, therefore every organization is advised to adopt budgeting strategies depending upon its characteristics to make its operations effective and feasible. The following are the effective budgeting techniques which can be used in order to inoculate efficiency into the operations of an organization. Budgeting plays a vital role in operating a system of an organization efficiently. In order to make the task feasible, it is advised to start from the scratch. Starting from scratch means training yourself with all of the terminologies and equipment required to prepare a smart budget. Therefore, entrepreneurs are advised to take training courses and obtain certifications to acquire sufficient knowledge regarding budgeting. In order to inoculate efficiency into a business, it is necessary to review your existing budgeting plans to avoid errors and insufficiency. After being trained for appropriate budgeting, all business owners and entrepreneurs are advised to review their already designed business plans in order to generate error free results. Bookkeeping is the most trusted methodology used to test the credibility of a budgeting plan as it provides a large portrait of all activities performed on a single platform. Every organization started with certain intrinsic properties which are different from the other. Therefore, budgeting techniques followed are planned according to the requirements and nature of a business. Bookkeeping is the only concept which is applicable to every business as it is considered responsible for providing a clear notion of every task performed or to be performed in a company. It supports the stance of designing an effective budget for a company which also makes long-term planning of a company’s operations possible. Entrepreneurs are advised to go for long-term planning in order to avoid any chaotic situations in future; for instance a specific budget section must be allotted for the time of recession(if and when it comes). Financial management is a broad cloud; it involves various genres such as revenues, expenses, cash models, cash inflows etc. Therefore, effective budgeting is the one which caters all of these concepts under a single flagship in order to run a business successfully. 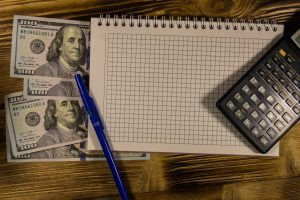 Financial experts are advised to plan a budget (with the help of bookkeeping) looking at the upcoming planned events of an organization so that efficiency of a business establishment can be increased. Efficiency in a business is achieved when it produces maximum goods and services at minimum possible cost. In order to inoculate efficiency into a business, effective budgeting is the best strategy. It responsibly allocates the optimal number of shares and monetary worth to every department so that its operations can be accomplished successfully.